The formation of NorTex was inspired by our desire to break the mediocre and traditional practices commonly used by most of the commercial painting industry. NorTex is committed to raise the bar in service and quality because our customer’s deserve the best product their money can buy. We appreciate your interest in NorTex Painting and Gutters. We are confident that if you choose us for your next painting experience, it will be a most pleasant one. Our CEO’s extensive 10 year experience in the housing industry, brings a unique vision to the painting industry on how deliver products and services to customers. Mr. Coke’s experience is diverse and includes collaboration with some of the Dallas-Fort Worth Area’s top interior designers and decorators. He also has been involved in construction of homes with one of the nation’s largest home builders. Here at NorTex we are passionate about colors, design, service, and people. Our customers trust us to come into their homes and provide not only the services they request, but also expertise and reliable products. We take this opportunity to serve you seriously and value your business. 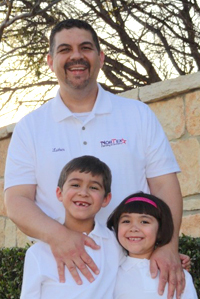 Bringing another 17 years of home improvement experience to NorTex is Luther Bruce. He has an expansive knowledge specializing in paint and gutters. 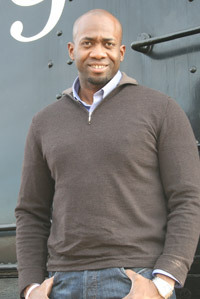 Both Jason and Luther believe that a person’s home is their greatest investment and a place of refuge and beauty. A person’s home is a reflection of his peace of mind and accomplishments. We are dedicated to help you make your home improvement dreams come true. Luther and his two children are proud to call North Texas their home. We are proud to be North Texans and we are happy to be serving God and our community here. Jason and I are eagerly waiting to assist you and your family with your next renovation project.